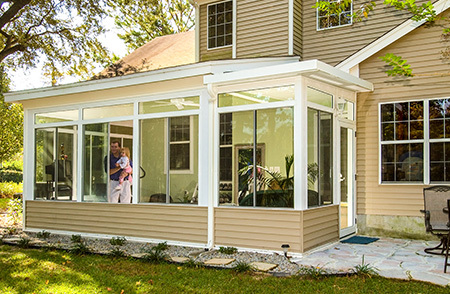 If you’d like to have a patio cover installed at your Radnor Township, Pennsylvania, home, but you’re concerned about its ability to handle rough weather, turn to SRA Home Products. We exclusively install patio covers manufactured by industry leader TEMO. Like all of TEMO’s outdoor living products, their patio covers include features that enable them to take on the toughest conditions. 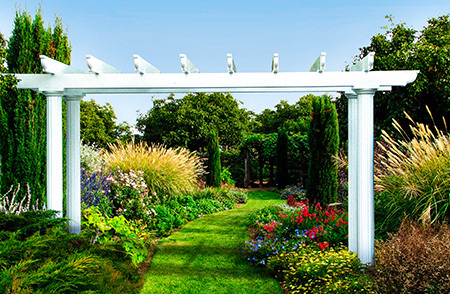 The patio covers we carry are constructed from heavy-duty, fully extruded aluminum. This sturdy material is stronger than wood, vinyl, and roll-formed aluminum, making it the perfect choice to withstand high winds. Plus, it resists rotting, deterioration, and insect infestation, ensuring that your new patio cover will continue standing strong for years to come. And, if you’re still concerned about durability, you’ll be relieved to know that our patio covers are protected by TEMO’s limited lifetime transferable warranty. If you ever decide to sell your home, you’ll be able to transfer this protection to the buyer, making it a valuable selling point. 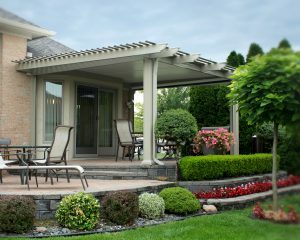 For more information about the patio covers we offer in Radnor Township, PA, please contact the experienced team at SRA Home Products. We’re a second-generation family-owned and -operated company that’s been serving homeowners since 1988. Plus, we’ve completed more than 5,500 projects and have achieved the Better Business Bureau’s prestigious A+ rating. When you call, we’ll be happy to provide you with more information about our patio covers, answer any questions you might have about our installation process, and set up a complimentary in-home consultation.